If residents of Nevada match the national average, then approximately 60% of them have not done any estate planning. A recent survey indicates that only four out of every ten adults in the U.S. have a will. While this could be due to the fact that many people believe they do not have enough assets to bother preparing wills, almost half of those surveyed said they simply haven’t gotten around to making one. The good news is that almost 81 percent of individuals older than 72 years and more than half those over age 53 have, in fact, prepared estate planning documents. As people age, the survey results suggest, they do realize that having an estate plan is important. However, experts suggest that it’s vitally important for younger people to have a will prepared, too, especially if they have children. Proper estate planning can help ensure that children will be cared for by a guardian the parents themselves have chosen. However, more than half of individuals under age 52 – and over two thirds of those under age 36 – do not have a will. Another important aspect of estate planning is health care powers of attorney, which slightly more people do seem to have planned for. According to the survey, more than half of adults have established powers of attorney, as do a whopping 83 percent of individuals over age 72. On a personal level, powers of attorney may be even more important than a will, as they help dictate an individual’s well-being; these documents grant a trusted individual the legal authorization to make medical decisions in the case of the person’s incapacitation. 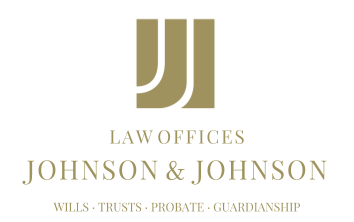 While it is possible for an individual to prepare a will on his or her own, it is generally inadvisable. Without the expert legal advice and in-depth knowledge of a Nevada attorney with experience in estate planning, a self-prepared will that was contested would be less likely to hold up in court. A lawyer will be able to offer guidance on a variety of issues and document preparation when it comes to preparing wills, trusts, powers of attorney and more.